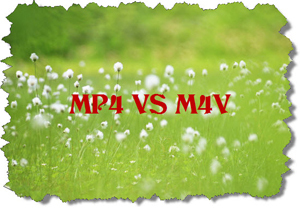 Generally speaking, there isn't any real difference between M4V and MP4. You can always change the file extension from M4V to MP4. The problem is that some applications only look at the extension while others check the internal headers and if they find an inconsistency, would likely not play/synch/use/import the file as expected. Slightly differing MP4, M4V contains the ID3 information and deal with AC3 audio file. But Quicktime player can't play a MP4 file with AC3 audio track. And as an Apple developed format, M4V is the copy-protected using FairPlay DRM copyright protection that requires purchase from iTunes. But they are different for some mobile devices. As a video format developed by Apple, M4V can't be played on many mobile devices, like Android devices, Windows Phone& tablets, PSP, Xbox, Wii and so on. However, MP4 is an universally used format for all mobile devices. That's why we need to convert M4V to MP4, especially if your M4V videos are DRM copy protected. But how to convert the protected M4V files to MP4? As everyone knows, the DRM copy protected iTunes movies are not allowed to edit, convert and upload to internet. Fortunately, we have DRM removal tools to help us resolve this issue with ease. We have shared the top Mac DRM removal software and Windows DRM removal software on our website to help users who have such problems. TunesKit DRM Media Converter for Mac is designed for removing DRM copy protection from iTunes rented and purchased movies/TV shows. It's a professional DRM M4V to MP4 converter for Mac OS. With this smart mac app, you can easily free your iTunes movie library and play any iTunes movies on non-Apple mobile devices on the go. This Mac iTunes DRM Media Converter works in 20x faster speed and give you perfect quality for iTunes HD movies. Aimersoft DRM Media Converter for Win will let you legally remove DRM from any video and audio files bought from pay-to-download sites instantly. It's not only a simple M4V to MP4 converter, but also convert WMV, ASF, Audiobook files to DRM free files with simple steps. 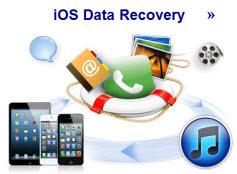 * How to convert iTunes M4V to MOV format? * How to convert iTunes DRM M4V videos to MP3 format on Mac?